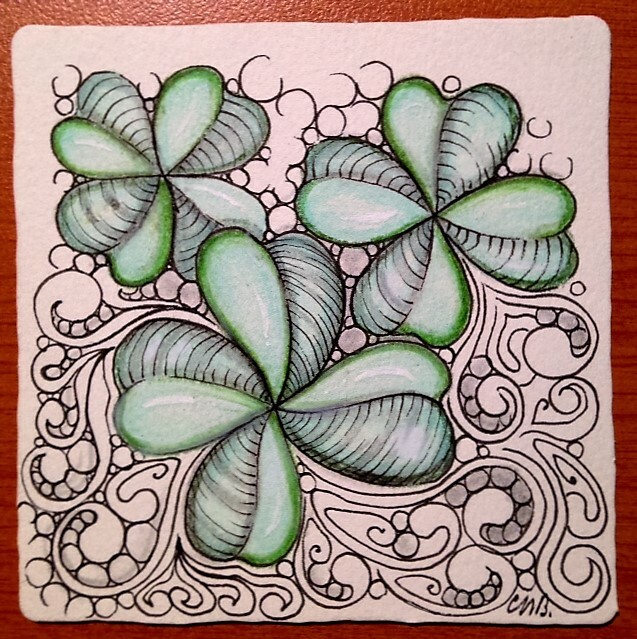 Weekly Challenge #259: "Touch of Irish"
Tried to achieve a 4 leaf clover effect. 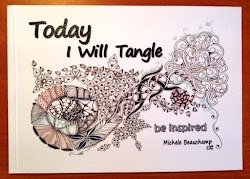 I'm so pleased that Zentangle is an abstract style of art......doesn't that make life easier? 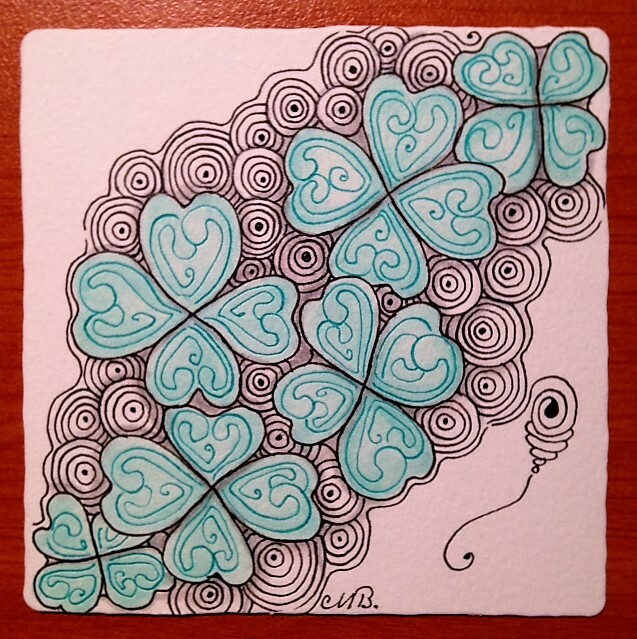 A bluey green gem for the Emerald Isle. These r great! Can u tell me how to get started with these weekly challenges? 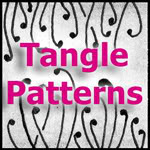 Just click on this link to The Diva's Weekly Challenge on the side bar under Tangle Patterns, above my photo. It's always fun to do. It's all there on her site. 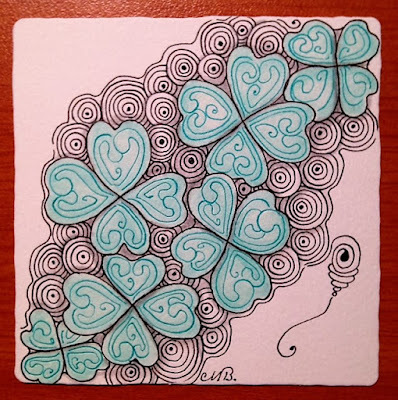 Three beautiful tiles. Love how you draw Mooka. 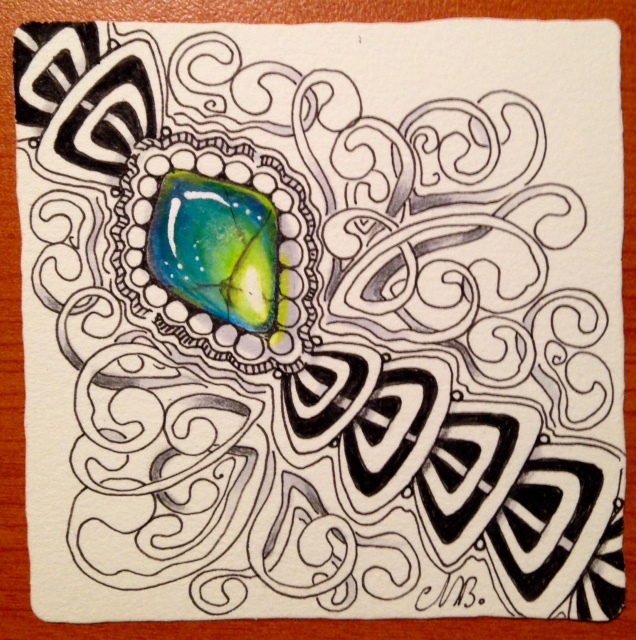 And your Zen Gem looks like it is made of liquid or glass. All beautiful, but I'm especially taken by your double Rixty - I think I might try it that way! Wow, love them all! The second one is my favorite. 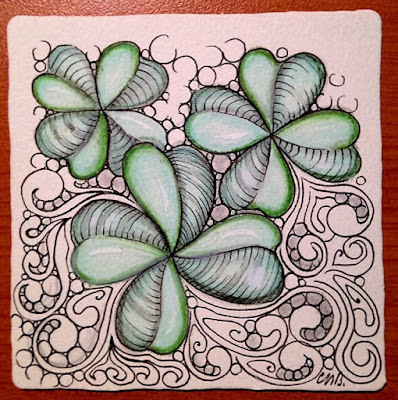 Wow, Three wonderful tiles! I love them all! A really gorgeous gem. Love the range of colors and depth you were able to get. All 3 are wonderful, 1 and 3 are my faves but they are all great! Wow! I think the third is my favorite. I love the gem, and the movement across the diagonal of the tile.